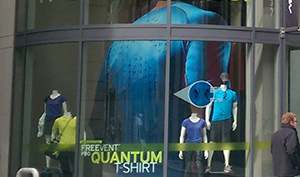 Need a one-of-a-kind display to enhance the visual for your product? Our partnership with Great Big Pictures gives us access to an in-house Store Lab, complete with an R&D team. These experienced custom prop makers and designers have a history of creating and transforming retail spaces for iconic fashion brands. 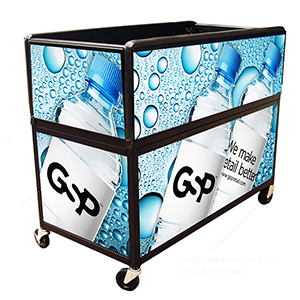 We have also mastered the art of in-store execution and design with logistics in mind. We know each store is unique in some way, so we configure our creations for onsite flexibility and scalability to work with every single location. We have many innovative menu systems available that can be produced in a wide variety of materials and finishes to blend with your store décor and best represent your foodservice brand. Our menu systems can be wall mounted, hung or used as a tabletop menu board with optional lighting kits. 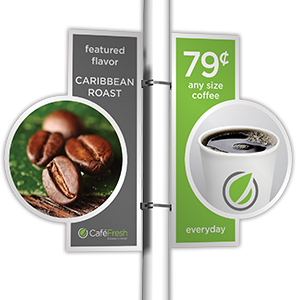 They are all modular systems to maximize space, and designed with interchangeable graphic panels that can be updated easily without tools for quick in-store pricing or menu changes. We can also create custom menu board solutions to meet your specific in-store requirements. We offer sign fixtures, hardware and permanent POP elements to most effectively maximize your return on investment—in colors, materials and finishes that match your store décor and brand for a cohesive uniform look. 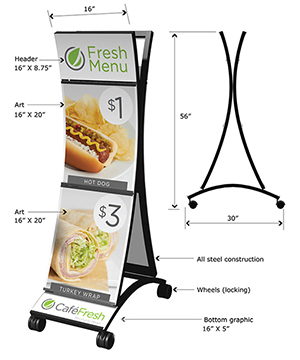 We offer kiosks and standees to create impact, grab the customer’s attention and clearly communicate and promote new fresh food offerings and special promotions. We can also evaluate your store layout to recommend the best fixtures or custom solutions that will maximize display space and help drive sales. We can help you motivate the customer and maximize sales potential with an assortment of merchandise displays, racks and shelving. We also provide storage, space planning and traffic flow solutions to guide your customer into and through the store. The Bulk Bin is one of our key merchandising display units with easy to change graphics, and an adjustable bottom shelf to accommodate varying quantities of product. We can also help you transform an open air cooler into a craft beer display by adding a header and rail strips. Driving traffic from the streets to the store isn’t always easy. Increase store traffic by bringing POP to unexpected areas. They are sure to get noticed with eye-catching designs that match your brand. Our Pole Sign Clamp, Sidewalk Sign and Bollard Graphics are key outdoor displays that are all weather resistant, have high visibility and can be easily seen from the forecourt, parking lot and street. Contour-cut versions of these outside signs create big impact and prompt customers to visit the store. 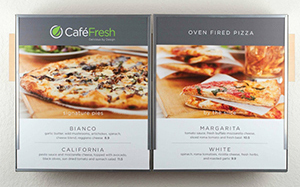 Create impact with aesthetically pleasing menu systems to promote your fresh food offerings. Maverik challenged GSP to help increase impulse purchases of large candy inventory and provide a neater store appearance. Flash Foods challenged GSP to propose new ideas to generate interest in their Fill it Up!! fountain campaign.